Every time the subject of human personhood is raised, somebody immediately argues that legal recognition of personhood would mean an end to in vitro fertilization (IVF). It is true that any procedure that has as a byproduct the killing of human beings prior to birth would be outlawed—and that includes IVF. But few want to admit this fact. Apparently it’s unpopular to be truthful. Most recently in Mississippi, for example, a news story claims that pro-life groups want to collect signatures for a yet unwritten personhood ballot initiative for the 2013 election. The report claims that the personhood folks are working on changing some of the language that concerned voters during last year’s voting, and that “certain fertility procedures” would be outlawed if this were to pass. How only certain ones would be illegal, I do not know, but something is amiss. IVF is an unethical practice that not only causes the deaths of preborn babies in the earliest stages of their lives, but is also based on deception. IVF opponents like Thomas Hilgers, M.D. point out, that “IVF approaches the evaluation of treatment by skipping over the diseases…they don’t look for root causes.” And why should they? There is big money in IVF; it is an industry that is fundamentally committed not to helping couples resolve their infertility by seeking to understand the disease that may be causing it and treating that disease, but rather to tampering with the procreative process through artificial means. Hilgers, who is a specialist in treating infertility, prefers to cure the problem so that couples can bear children naturally. His teaching staff, all experts in NaProTechnology (natural procreative technology), have trained physicians all across America and in other nations as well. NaProTechnology respects each and every human person. Why? Because mankind procreates, animals reproduce! 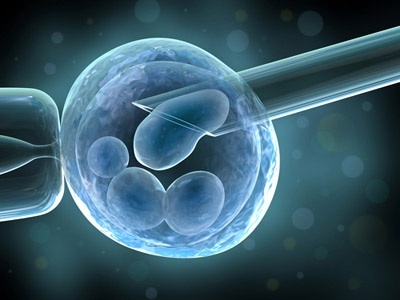 Processes such as IVF reduce human procreation to an artificial mechanical function. The intrinsic human rights inherent in every human individual can only be validated when every aspect of human personhood is explained and clarified. This includes accurately illustrating ethical differences in infertility treatments. When such subjects are avoided or are not addressed in ways that make the problematic nature of technologies like IVF clear, confusion persists. It is literally impossible for those who favor IVF to understand why their position is in error when those who know are unwilling to address the subject clearly and with compassion. Everyone has a right to hear all the facts all the time. Tragic? Of course it is. Avoidable? Yes, but not in a culture that places a premium on technological advancement while ignoring ethical, moral solutions to human problems like infertility. Given the stakes in our quest for cultural recognition of intrinsic human rights for every human being from his biological beginning until his death, it would behoove each person engaged in this struggle to be clear, forthright, and consistent. Otherwise the scope of this barren wasteland will increase as the dehumanization of man escalates.